This is a list of useful football prediction websites offering you the best betting tips – most of them offer you a free trial membership or the basic functionality for free, and you only pay for premium membership. Please keep in mind though, that collecting data and providing really good prediction services is not cheap – hence, the best sports analytics sites will never be completely free of charge. Betting Gods is one of the best tipster websites out there, bringing amateur betters and expert tipsters together, providing professional tips and advice on not only football but golf, greyhound and horse racing. Betting Gods can seriously help active bettors earn money with sports betting and avoid fundamental mistakes that they would otherwise learn paying big bucks. Betegy – Betegy.com provides you with predictions for more than 20 leagues and cups, delivers 100+ predictions per week, 100+ top predictions per month, premium content, 1×2, score, over & under, BTTS, handicap predictions, betting volumes, advanced statistical analysis, fixtures and tables, free customer support, odds comparison, great accuracy, and much more… Pricing: 40 EUR / 3 months, 99 EUR / 12 months. It’s worth every cent! If you follow their advice, you can win back your membership fee within a short time! Bet Advisor is one of the best sports betting tips sites, delivering highly reliable advice. The site’s experts team is backed up by a large number of professional tipsters. You can simply choose the betting expert of your chosen sports (football, basketball, tennis, horse racing, baseball, rugby, American football, ice hockey and handball) and the tipsters’ advice will be sent directly to your phone or e-mail. You can then bet using any bookmaker you prefer. Highly recommended betting tips service! Footy Lay Profits is an incredibly accurate soccer prediction service, based on full-time tipsters’ statistical analysis of past team performance, team & league trends. The results are impressive, you should give it a try if you are serious about making money from your soccer bets. ScorePredictor – ScorePredictor.net focuses on football, handball and basketball, offers game results and major European leagues’ statistics. The main function of this site is to predict results of forthcoming fixtures, made on the basis of already played games by the team. StatArea Predictions – nice “custom predictions” where you can select your prediction factors, such as: All matches between the teams, Last matches of the host team, Last matches of the guest team, Advantage of the host team, Standings of the teams in the championship, Rank of the country’s league, Rank of the teams. The predictions are highly accurate. Tipster24.com offers good betting tips, providing you with an overview of statistical analysis and a comparison of two teams based on the facts of the last 10 games they played against each other. ForeBet – ForeBet.com offers mathematical football predictions and computer-generated results based on statistics. The site offers football predictions for each round of the World’s leading leagues generated by mathematical analysis. The site has a huge database with the football statistics of more than 70 leagues since 2000. PredictZ – PredictZ.com provides free football tips and predictions for more than 100 leagues, free analysis, football form and statistics for more than 3000 teams, the latest results, up-to-date league tables, free bet offers and much more. VitiBet – VitiBet.com provides up-to-date stats, Betting tips, predictions and analysis for football, ice hockey tips, handball tips or basketball tips. Predictions are calculated using statistical data and VitiBet’s own algorithm. VitiBet gives percentage predictions for home wins, draws and visitors´ wins, actual score predictions, links to hundreds of original live score sources. SoccerVista – SoccerVista.com offers free soccer results, statistics, picks, tables and information and predictions since 1999, by soccer league, game or date. ProSoccer.gr – Prosoccer.gr offers daily football predictions for free. ZuluBet – ZuluBet.com offers free soccer predictions, daily tips and picks. Thanks to its multi-language support, ZuluBet remains one of the most popular international sports result prediction websites, especially for betting fans from Scandinavian, Southern and Eastern European countries. NFL Expert Picks – Each week on ESPN.com, the brain trust of Bristol University convenes and the site’s experts offer their predictions for the upcoming slate of NFL games. Betting Closed – popular predictions from most European countries, Australia, South Korea, Japan, Singapore, South Africa and Turkey. BetInf Football Predictions – live score and football (soccer) predictions for England, France, Germany, Italy, Spain, Portugal, Holland, Russia, Belgium, Scotland, Denmark, Turkey. Pick for Win – Scientific football predictions on a daily basis. I am Bettor – free soccer and football predictions. Typersi – Free betting tips, tipster competitions and predictions. Useful site. SciWin – the site’s slogan “using science in football to win” turns out to be true, you can get useful advice from the guys behind SciWin – the pricing is also affordable, between 5 and 17 euros for 30 days, depending on the number of betting tips you would like to have included in your subscription. 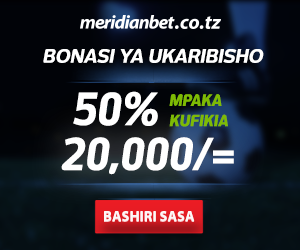 SoccerWay – SoccerWay.com is a useful site for Tanzanian football betting fans, it has an extensive database of fixtures / results for national and youth teams, domestic and international clubs, etc. ProgSport – Prognosis Sport by ProSoccer offers Computer-generated basketball predictions. Tipster Sites is a comprehensive list of the top tipster sites out there. It’s like someone has done your homework and you only have to take a look at the results. Worth a click! Mathematical Football Predictions – this site provides you with a hand-picked selection of free betting prediction sites, paid membership communities, tools, apps and software, statistical methods and scientific publications. The site also has a pretty useful sports analytics page, listing and comparing the best online sources on analytic methods in sports. Definitely worth checking out!